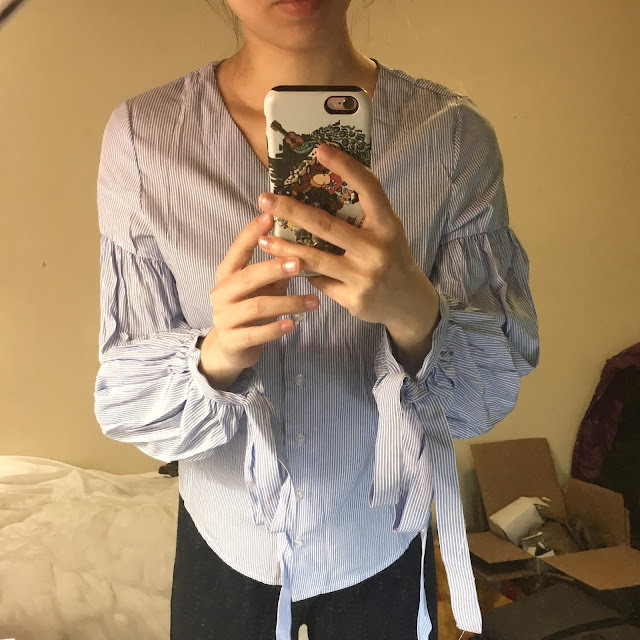 I recently got a top from Sassymyprom, and I want to review it today. 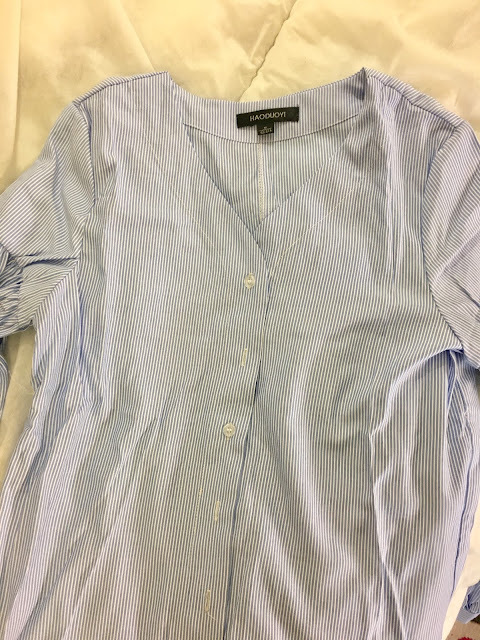 The item is a Blue striped V neck top and it was from a famous Chinese brand called Haoduoyi, which I've seen around a few times. The top arrived after a month and it was beautifully packed in a lovely crisp plastic bag. 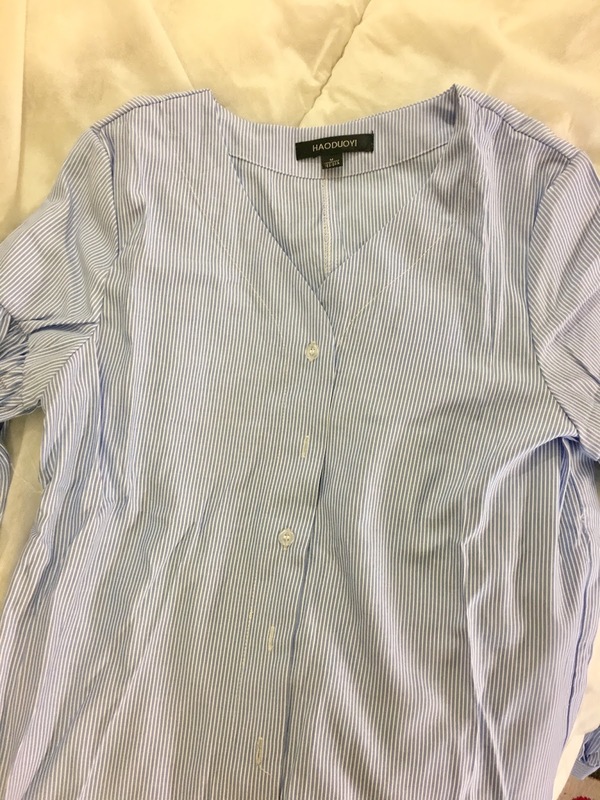 When I opened it, I was surprised at the quality of the item- a Striped V Neck Top. 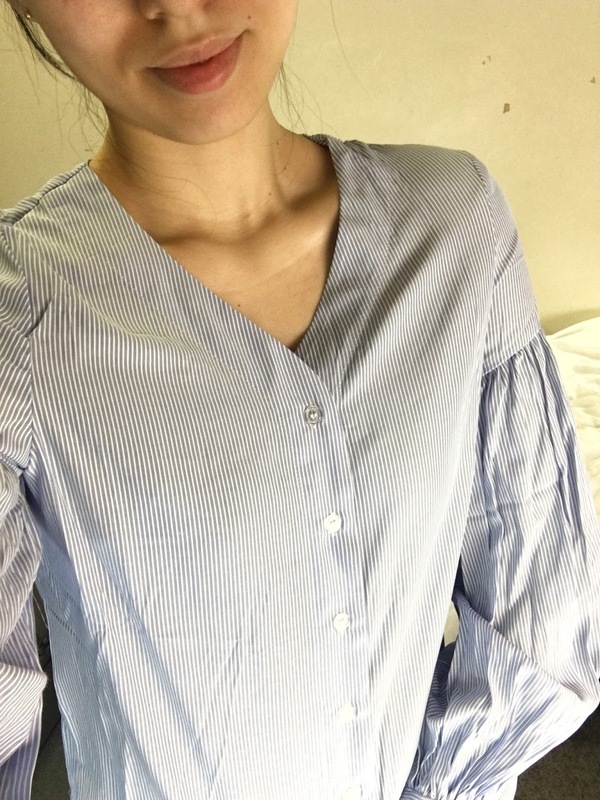 It was made from a light, crisp material (cotton and polyester blend) but it felt super smooth and silky, almost as if it's made from silk! I also loved the crinkly sleeve details on the top. 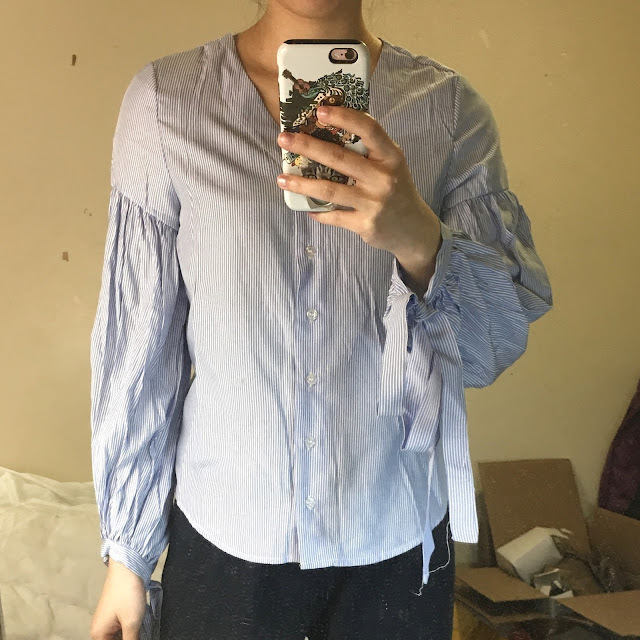 It has a lantern sleeve and it looked amazing on me! I really love this top because it was cheap and good quality. For the price, it was definitely worth it! Check them out now! They also sell Black prom dresses !